How did you get familiar with Movement On The Ground? And what made you want to become a volunteer? "I’ve always been interested in the refugee crisis, and I had heard so much about it on TV and I felt like I needed to do something. In the Netherlands, I went to some asylum centers to do some other volunteer work. And I read about Movement On The Ground on social media. So, yeah, then I searched for it to see exactly what they did and that made me really want to do something on Lesvos." What kind of activities were you a part of? "I was on Lesvos for three weeks and I participated in various activities. I helped with sorting the warehouse because we were in the period of changing the summer clothes into winter clothes. 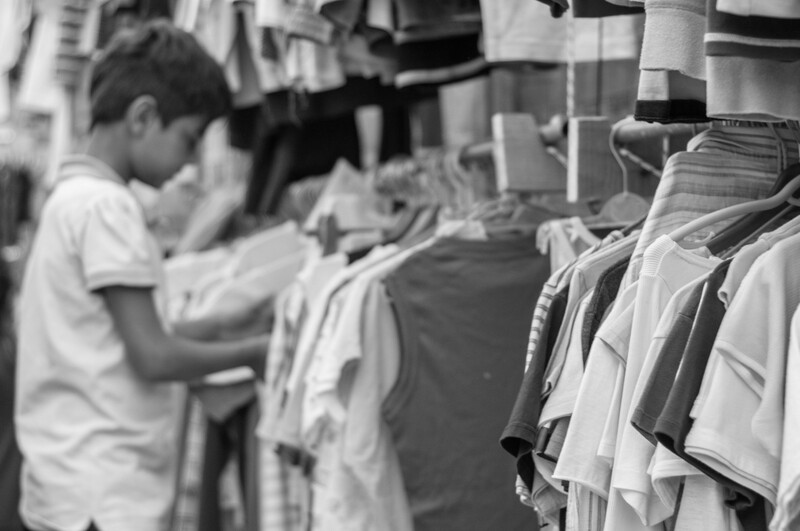 So, most of my tasks consisted of clothes-sorting and running the shop in Kara Tepe. In Moria, I got to play with children which was one of my favorite activities to do. I also helped with computer classes in Moria." Great! You seem to have been a part of a few really important activities! Was there anything you think could improve? "Well, when playing with the kids, there were only three games which we always played; Uno, Jenga and Four in a Row. 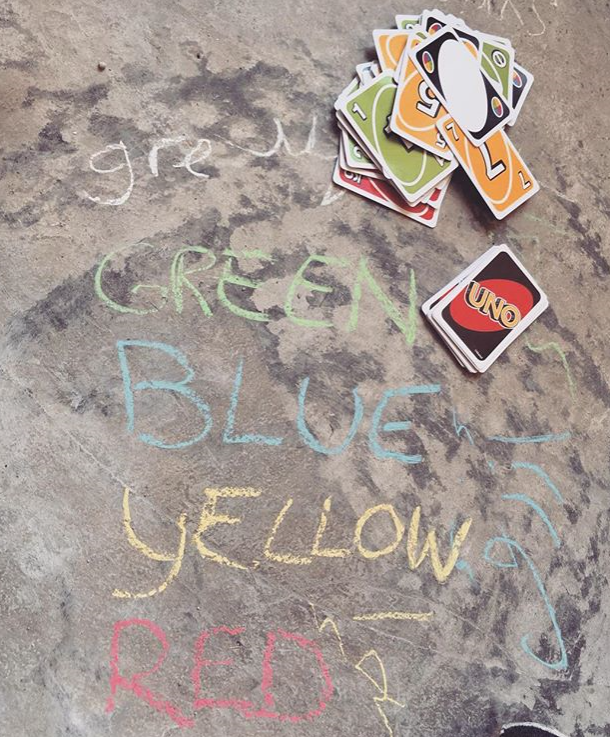 The kids liked them a lot, but I would definitely think it would be cool for the kids to have more games!" Did you face any difficulties with other activities you were a part of? "I think, in the clothes store we would face some troubles regarding the lack of clothes. While the store usually has everything, sometimes people would request things we didn't have, and we had to say, “I’m sorry, we don’t have it”. That was the main difficulty for me, to tell people we don’t have something they need or want." So, did you spend most of your time in Kara Tepe or Moria? Are there differences between the two refugee camps? "I spent most of my time in Kara Tepe, and only helped out in Moria on some days, mostly to play with the kids. When you arrive in Moria, you really see that living areas in Moria are so crowded, there is a lack of hygiene and people really don't have any privacy. In Kara Tepe, however, it’s just a really different and contrasting atmosphere. Kara Tepe has a community feeling, and although it is still a refugee camp, the campus really looks like a community. It's much cleaner and the environment is just so much livelier. " "Kara Tepe has a community feeling, and the people are much more livelier there than they are in Moria." Do you have a story or image in your mind whenever you look back on Lesvos? "When you hear about the refugee crisis in the Netherlands, it seems so far away. But when you’re on Lesvos, you really see that these are all people, they're human beings, and they all have different stories to tell. On Lesvos, you can see their faces and you can see how real it is. You understand that these people are people like you and I. It could happen to all of us. That’s what I think about when I look back on Lesvos." Can you take us through a typical day for you on Lesvos? "Well, it all depends on your schedule. But on an average day I would work in the shop or the warehouse in the morning. After lunch sometimes I went to Moria to play with the children or continue working in the shop. All in all I would say you work around 10 hours a day, so it's pretty long hours. On special occassions such as Ladies Night or dinner with resident volunteers we would stay until the early evening as well." What was the most memorable experience for you volunteering on Lesvos? "The most memorable experience of my stay was the interaction with the residents, and especially the resident-volunteers. They are such nice and friendly people, and they help us a lot with their work: translating in the shop, helping with cleaning and giving computer lessons. These resident-volunteers really put effort into making the best out of their situation and I truly enjoyed working with them. In addition, the ladies nights were also an amazing experience. These evenings have such a happy atmosphere and it is incredible to see the women and girls dancing their different cultural dances." That's really great to hear! How's life after Lesvos treating you? "Well, I’m focusing on finishing studies in International Economics at the University of Rotterdam. I’m trying to focus on this. My life is really different compared to back on Lesvos, in a sense that my days used to be so busy on but now I spend my days studying… so, yeah, it’s different, but I do miss the atmosphere and working together." 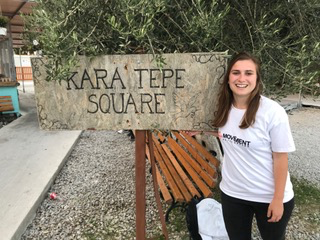 On behalf of the entire team on Movement On The Ground, we thank Fabienne and other volunteers like her, who took the time to go to Lesvos and devote their time and energy to this Movement! We appreciate all the work you have done for us! 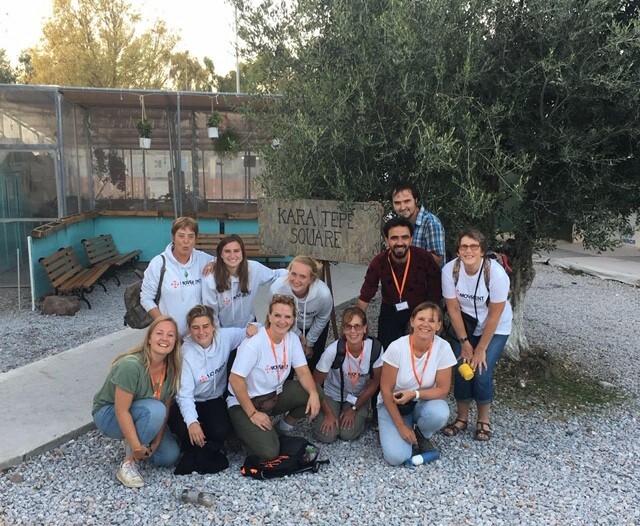 Would you like to become a volunteer on Lesvos? Click here to see the requirements and to apply! We need all the help we can get.